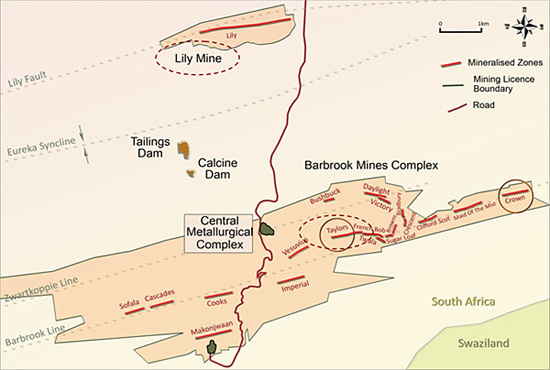 The Company currently produces gold from its Lily and Barbrook Mines, where there has been a steady increase in collective gold production since its listing. 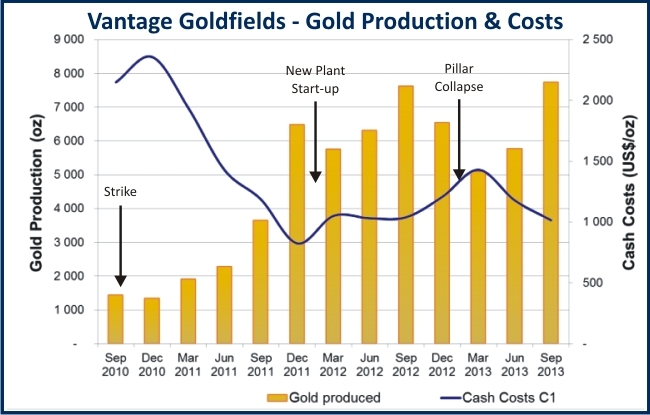 This is despite setbacks in the production ramp-up caused by a 7 week, unprotected labour strike four months after listing and a major collapse of an underground stabilising pillar at the Lily Mine late in 2012, causing a temporary dilution of ore grade and the resultant decline in gold production. 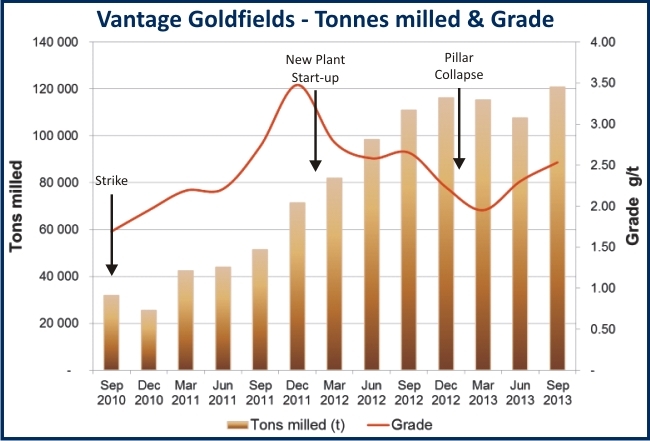 During 2013, gold production increased markedly with rising ore grades while costs declined.